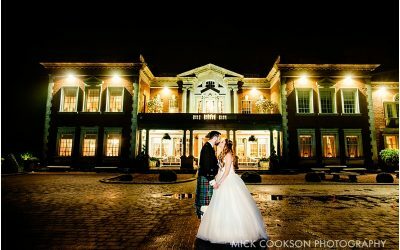 Browsholme Hall is a must-shoot for any Lancashire wedding photographer. There really aren’t as many wedding venues in Lancashire that offer as much as Browsholme does. Boasting a wonderful and elegant Tudor Hall for your wedding ceremony, the stunning Tithe Barn for the reception and gardens and grounds for photos, this venue has everything. Browsholme Hall has recently undergone a £1m restoration and wow, have they got their money’s worth. Both the hall and the Tithe barn are exceptional venues to shoot at (as you can see below). The mix of rich, historic, opuluence in the hall contrasts beautifully with the rugged flagstone floors and oak timbered ceiling in the tithe barn. With so many different buildings and grounds to choose from, I always love working with couples at Browsholme. We can be incredibly creative with our wedding photography and get a style that suits anyone, whether it’s traditional elegance or quirky countryside. The staff are exceptionally knowledgable, reliable and friendly. There is plenty of room on the grounds to move about unnoticed as well as get some rather stunning group shots with an amazing backdrop. Need a Browsholme Hall Wedding Photographer?